85 days. Cajanus cajan. Open Pollinated. Plant produces high yields of flavorful pigeon peas. 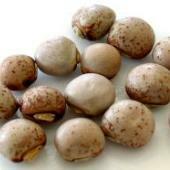 Pigeon Peas can be served in the same manner as green peas or cowpeas, combining them with other vegetables. Peas 'n' Rice is a dish made in the Bahamas. It includes onions, celery, tomatoes, rice and pigeon peas. Pigeon peas are important commercially in India. Plant as you would in the same manner as cowpeas. 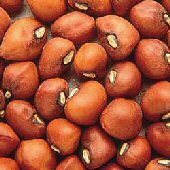 Most pigeon peas are harvested in the dry stage and marketed as dried peas. This variety will succeed under hot growing conditions. Where intercropping is followed, we recommend a Cotton - Pigeon pea cultivation. A Cotton/Pigeon Pea crop combination allows the food legume to benefit from the insecticide spraying applied on the cotton crop and cotton takes advantage of the nitrogen fixing ability of pigeon pea. Pigeon peas are remarkably drought resistant, tolerating dry areas. Excellent choice for home gardens and market growers. A variety from India. Disease Resistant: FW. Plant your cowpeas outdoors directly in the garden after your last frost date. Germination is improved when soil temperature is above 65 F. Cowpeas require a long growing season with 4 months of warm days. They are drought resistant and basically can grow anywhere corn can grow. Plants can grow 8 to 36" tall. Requires rich fertile soil in a well drained location in the garden. Apply much and grass clippings, or straw around base of plant. Beans do not like soil that is too moist. Water during dry and hot spells. Cowpeas can be harvested at any time, but are most often used as a green mature bean. Also grown and used as a dried bean. 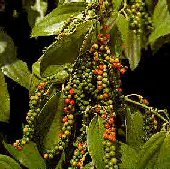 Frequent harvesting also encourages plant to produce more pods.